New Utah Gardener: Summer Harvest! It's great when all of your hard work pays off! This week I harvested a big cabbage, some beets and some swiss chard. In the community garden I noticed some gorgeous broccoli and kale ready to be picked. It is also time to harvest the garlic if you haven't already. The garlic flower stems can be clipped off as soon as they emerge in June, but it's not necessary. 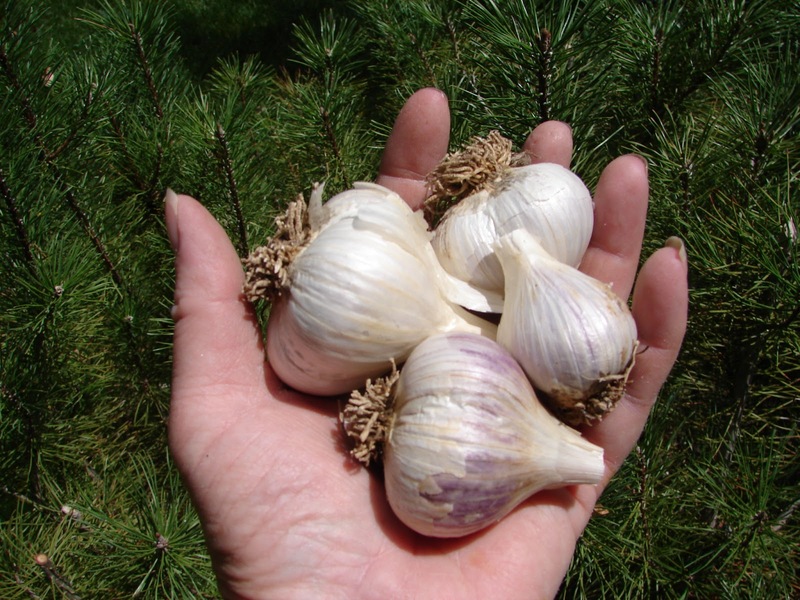 When the foliage of the garlic plants turns 50% brown (around the beginning of July), the bulbs are ready to harvest. Don't be tempted to pull them out by the tops - they will break off. Use a shovel to dig deeply next to the garlic plant - not too close or you will slice into the bulb. Lift the bulbs and shake off the dirt. Leave the plants attached to the bulbs and store in a dark, dry warm place for a few weeks. The garage is perfect. Not in bags but spread out on newspaper or cardboard. Or hang them up. In August cut the tops off and store in a dry, airy place. Again, no bags. Baskets with air flow are good. I have garlic stored on a shelf in my basement that has been there for a year and it's still good!